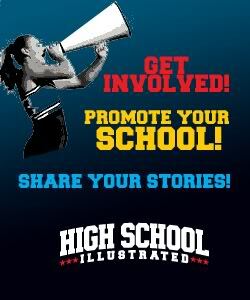 As the premier destination for high school news, sports, athletes and events, High School Illustrated is a great place to advertise. This complete website features valuable in-depth league and player news. It is also a responsive site, which means it adapts for smart phones and tablets. Content on the website is provided by both professional writers and volunteer contributors. We are dedicated to working with high schools to give students the opportunity to participated — whether it’s with a ball, pen or camera. If you are friends of businesses that could help this cause and are looking for some special attention through editorial or advertising, please let us know.